In a complete contradiction to my life pre-twins, I'm completely demonstrating why this idea means so much to me, why twins change your life. I know, it's no longer Monday, am I late? What's new? 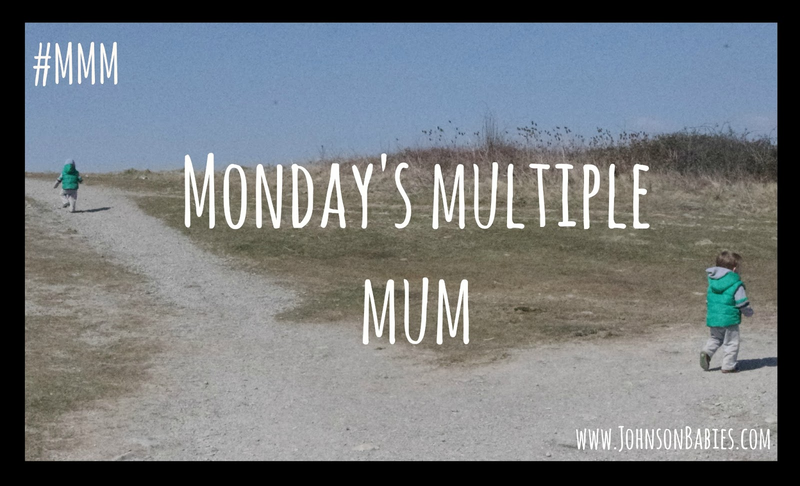 Mums of multiples have kept me going, during pregnancy and in my first six months I relied on the TAMBA forum. For everything. TAMBA mums saw me through Twin 1's growth slowing at 30 weeks, the decision for them to come into the world at 36 weeks, the first to suggest a possible diagnosis of pyloric stenosis... and that's before you get to all the practical advice around pushchairs, cots, weaning, and toddlerdom. When the boys turned six months I discovered blogging, and a new source of advice and wisdom for all twin related support. As a mum of 4 week old twins, you can't imagine a mum of 6 mth old twins would possibly remember what you're up against. A mum of 6mth old twins can't begin to imagine how life will be if these little ones could possibly walk. A mum of two year old twins looks back on all of this with fondness, and wonders if having another set of twins would be so difficult (ok, so that's just me). And whilst I have rose-tinted spectacles on the past, I can't imagine for a moment what I have on the horizon. I've just submitted my application for the boys to start nursery school next April. Words cannot express. I have firm ideas on separate classes. But no idea whether I will see this through. And so in all of this, I know how much I rely on mums of multiples. I have for neary three years. From the moment the sonographer found the second heart beat. And so I hope, most Monday's, I can welcome a parent of multiples to tell me how life is, parents across the piece, allowing reminiscing and foresight. How well worn are my rose tinted spectacles and what's in store for our family? I would love any parents of multiples to get involved. Please get in touch with me via lovely envelope button on the top right and let other parents know the best bits of twins, triplets and more!